American, 20th century. 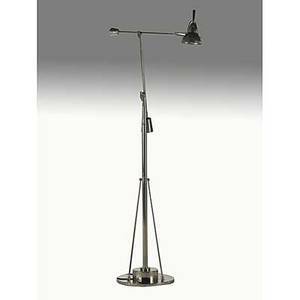 Restoration Hardware modern industrial style chromed metal counter balance or counter weight floor lamp with adjustable synchronized pulley system on tripod base. 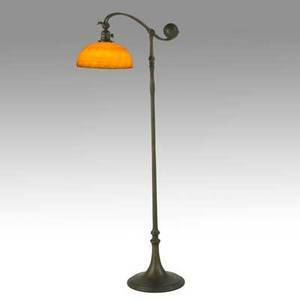 Electrified lamp shade of flared minimal form. 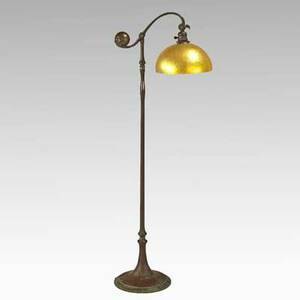 Height 72.5", width 17.5". 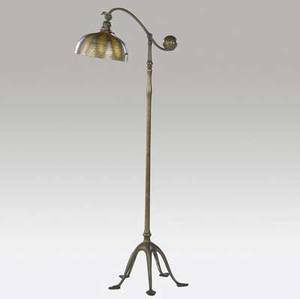 Tiffany studios; counter balance floor lamp, damascene shade; bronze and favrile glass; base signed tiffany studios new york 468, shade signed l.c.t. 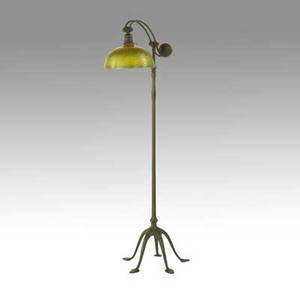 favrile; as shown: 56" x 17", shade: 5" x 10 1/4"
French modern; nickel-plated brass and chromed steel counter balance floor lamp, 1970"s; unmarked; as pictured 60" x 36" x 14 1/2"
Tiffany studios bronze counter-balance floor lamp with eggplant weight and goose neck, on octopus base. 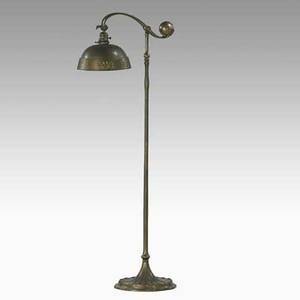 stamped tiffany studios new york 468. 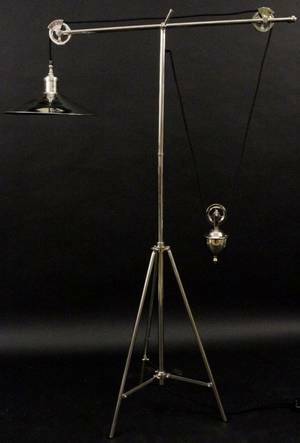 56" x 15"